They explain how EBITDA is used in business valuation here. For their definition of Adjusted EBITDA click here. 2. How do I calculate EBITDA? Where do I look on my financial statements? Here are two basic explanations of how to calculate EBITDA. Below are two videos explaining EBITDA calculation. This downloadable spreadsheet from Exit Promise tells you exactly where in your tax returns you’ll find the needed numbers to calculate EBITDA- then it does the calculation for you. 3. How is EBITDA different than other financial measurements? Sometimes EBITDA can be misunderstood as being the same as other financial measurements. 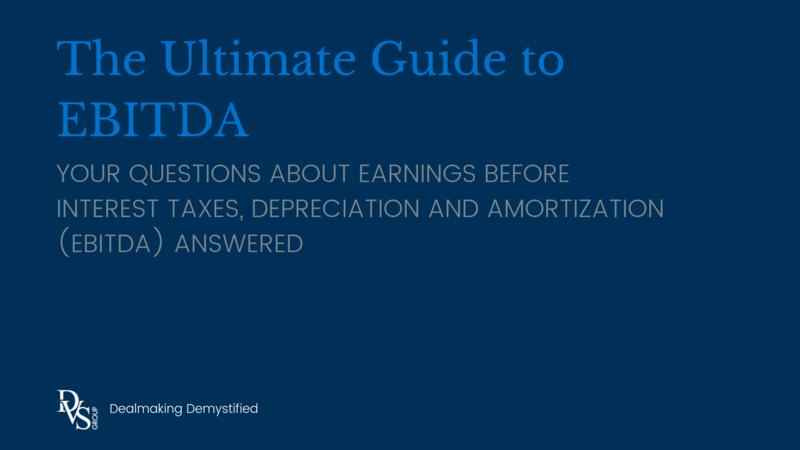 Here are a few articles to help straighten out what EBITDA is and what it isn’t. 4. Why is EBITDA used? This article from Investopia explains how EBITDA is a measurement that simplifies a company’s profits to look strictly at operations. This Inc article answers why your banker cares about EBITDA. 5. How should I use EBITDA? What does it tell me about the business? This article from Arkady Libman at Wall Street Prep explains EBITDA multiples and warns that their simplicity can be deceiving. New York University’s Stern School of Business has a chart of EBITDA multiples by industry. It is updated monthly. 6. What’s the history of the measurement? Should we even be using it? EBITDA was coined by John Malone. Read more about the term’s history from ValueWalk here. EBITDA can get a bad rap for being easy to manipulate and being a misleading way to measure a company’s earnings. These two articles dig into that perspective. Although it may be unhelpful or even misleading in public companies, the use of EBITDA is valuable in privately-held businesses. EBITDA is a central component in our work everyday as we work to craft deals that are fair by valuing businesses consistently. Read about EBITDA’s role in business valuation in our Ultimate Guide to Business Valuation. As often as we use financial metrics in our office, we also always go beyond the numbers. In order to find the right match, EBITDA and other financial metrics must be taken into account alongside intangible factors. We welcome your questions about EBITDA or other questions you have about getting your deal done. Give us a call or shoot us an email.